0 Tbb-Clayton 2 Bdr Attached, Wentzville, MO 63385 (#18001742) :: Hartmann Realtors Inc.
Free standing and attached villas now available in a fantastic Wentzville location by Bridgewater Communities, your villa experts. Enjoy luxury villas, amazing included features & limited opportunities for 3 car & O/Sized 2 car garages. 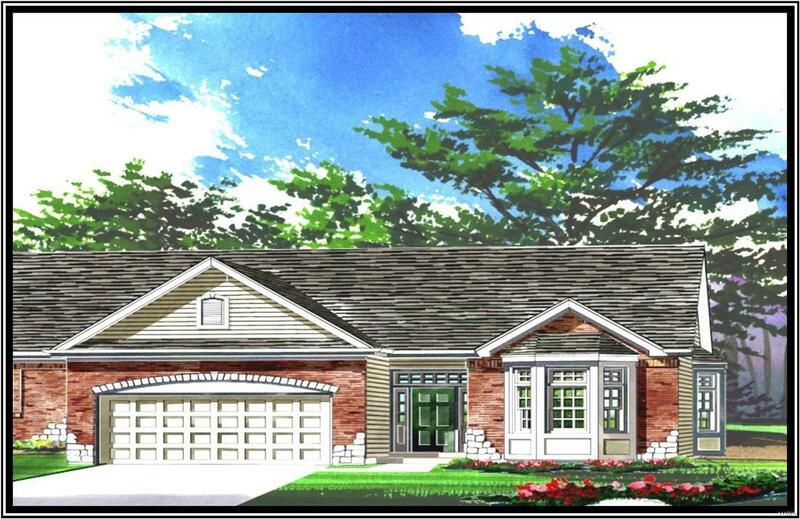 Features inc gorgeous brick-stone elev, arch shingles, prof landscape, full yard sod, irrig systems, low maint vinyl siding, wrought iron mailboxes, stunning Kitchens, Whirlpool appl, main flr laundry w/sound reducing insulation, W/I closets, open flr plans, hardwood flrs in the Entry, 12x12 patio, 6 pnl doors, Low E windows, R38 ceiling insul & more. The attached Clayton model has 1,600 s/f of living space w/an open, elegant design. This intimate, all cul de sac community has easy access to Hwys 40-64 & 70, shopping, restaurants, health care, golf, fitness centers & more. The Villas at Renaissance Crossing are built w/high standards of quality & value which has resulted in numerous awards from the St Louis HBA. Location, quality & outstanding design! Listing information © 2019 Mid America Regional Information Systems, Inc. Information from third parties deemed reliable but not verified. Data last update 2019-04-22T06:49:00.993.